Pull up any rental property site offering Edmonton listings and you'll have enough ads to browse for hours!! Just now RentFaster has over 3000 active rental property advertisements, PadMapper over 1500, and Kijiji over 9000 active ads! Maybe it's time to diversify your portfolio and invest in the Rental Property Advertising side of things…. But you have had success in the past with your rental unit investment, now is no time to sell (that's an even worse market…). The economy will move forward and your investment will prosper and can proper even now, but maybe you need to approach the market differently than you have in the past! Consider the follow thoughts to navigate todays rental market….. The cost of securing a new tenant seems to be at an all-time high, not only are advertising sites costs skyrocketing but you're going to have to schedule a lot of viewings with prospective renters. And that can add up, in both time and money. Prospective renters have an ever-increasing ability to sort through hundreds, even thousands of advertisements within their preferred neighborhoods and rent prices with ease. If you're lucky enough to have your unit chosen to make their shortened viewing list, you're still going to face some heavy competition. Boardwalk Apartments is currently offering incentives on one-year leases like 299$ Security Deposits, 1 Year Free TELUS Internet and Cable, and first month rent free! That's a hefty incentive! So, save yourself the time, effort and money and offer your current tenants an incentive to sign a new lease!! Consider keeping the tenants you already have happy with their current unit. Maybe that means replacing an older appliance, or painting the unit, replacing some flooring, installing new blinds. Find something that adds value to both your investment and the tenant's enjoyment and offer this upgrade in exchange for a new lease term. Make sure you are proactive in contacting the tenants with this offer before they have considered moving or giving notice to vacate. Not wanting to do any upgrades? Consider this. Cornerstone Management currently runs a $50 gift card renewal incentive program that rewards each tenant, that renews on a one-year lease, a gift card to their favorite restaurant or coffee shop. We are happy to report this has dramatically changed the amount of renewals we receive each month. Barring a tenant that has overdue rent or needs to be removed for other reasons, consider how you can keep your current tenants and avoid the vacancy market. Your old tenant moved out and now you need to secure a new one. First step is assessing the market, unfortunately your old tenant's rental rate might not be competitive in the current market. Browse some advertisements yourself and find out what the going rates is for units like yours. Maximize your exposure online. Cornerstone Management currently runs rental property listings on over ten websites all with paid subscriptions allowing us to achieve maximum leads for each unit. 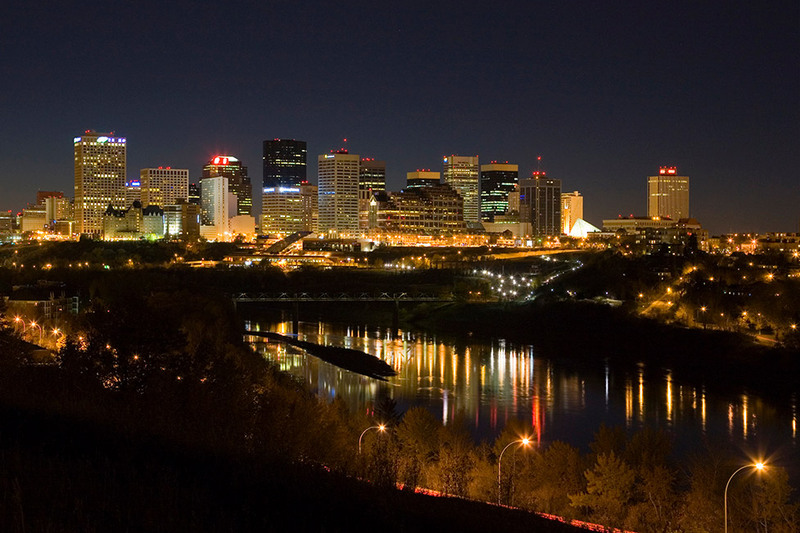 Rental sites are a dime a dozen, so knowing which ones will produce solid leads in Edmonton is important. Free positing sites are great, but they get a lot less exposure. It's a renter's market. They will go where the receive the best offer. Consider offering to paint the unit, or replace some flooring, or an appliance. Other landlords are offering these incentives and you will need to compete directly with them. A $800 painting expense is more financially viable than leaving your unit vacant for three months at $950 a month (950 X 3 = $ 2850 > $850). Now is the time to invest in your property to avoid the lengthy vacancy periods that are all too common in this market. Same principle applies to a rent reduction, $25 or $50 a month less than your asking rental rate is still a lot better than two months of vacancy. This is a different approach to your investment than you have taken in the past, but it is a necessary shift.